You can find out more about our IONITHERMIE treatments and book by clicking this link. Otherwise, have a browse through these outside links on how it works and can help you. with the added benefits of slimming and detoxification. Hips, thighs, buttocks, abdomen and arms can benefit from a single session of IONITHERMIE – although a course of 3, 5 or 10 is recommended. IONITHERMIE was created in France in 1978.
philosophy and new regulations. All products are dermatologically tested. No tests are done on animals and no animal extracts are used. measured with a tape measure. Care programme. Longer still with a course of 3 treatments over a one week period (or 5 treatments in 2 weeks – or 10 in 4 to 6 weeks). or retain the classical pear shaped figure. It helps to give a degree of control over spot reduction in problem areas, such as the hips, thighs, abdomen and buttocks. by people with a build up in toxins with the body’s tissues. beginning of the trial all noted a clear improvement at the end of the trial. HOW DOES IONITHERMIE WORK ? to repair and strengthen the skin. layers of the skin, far deeper than normal application, massage or even heat can achieve. medical physiotherapists to help restore weak or injured muscle tissue. than the only the area the pad covers. IONITHERMIE is a FIVE in ONE, figure correcting & firming treatment. Detoxifies & re-mineralises the body, raising the body’s energy levels & the metabolism. Enables a degree of control over problem areas: Hips & thighs, abdomen & midriff, abdomen & the upper arms, lower abdomen & upper thighs. Improves & smoothes the skin texture. The client is measured before & after. Specialised active ingredients are applied to the problem areas. Two gentle electrical stimuli are introduced. WHO IS IONITHERMIE TREATMENT FOR? Men for stomach, arms and even breast. 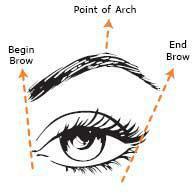 Threading is a true art that has been passed down through the generations, and isn't something one can easily learn in couple of classes. If done incorrectly, the hairs can break. If hair is broken from an inexperienced threading professional, hair re-growth will show up sooner, also encourages ingrown hairs due to incorrect technique and broken hair. Threading is fast and effective. Temporary results can turn into permanent. 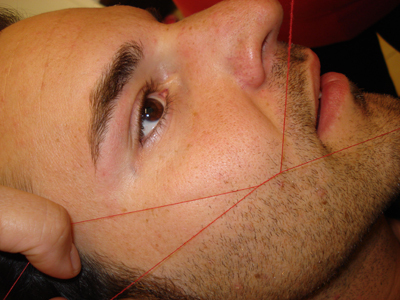 Over time, frequent threading can cause the hair follicle to become damaged, and stop hair growth. The oouch factor- discomfort is similar to tweezing, but the process is much, much quicker. Some people say they have very little pain from threading, but it has a lot to do with the skill of the technician also keeping in mind on individual pain threshold/tolerance. It is MOST COMMON for removing facial hair- Full Face Threading, Eye Brows, Under the eyes(cheek bones), Lip, Chin, Full Face, Neck, Nape(back of the neck-ideal for short hair), Shave lines. When people have certain circumstances, or are taking medicines that conflicts with waxing, sugaring, laser,..they may be able to turn to threading. 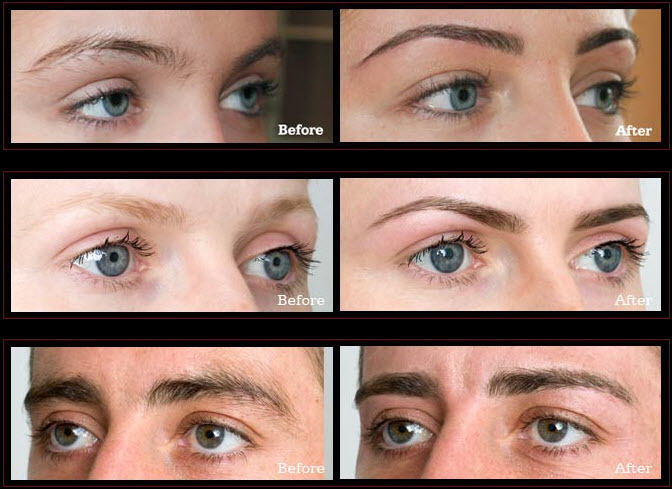 Check out before and after of eye brow threading.